Despite the radical changes in the container shipping landscape, that will see almost 80% of trade controlled by just seven operators, shippers should not be overly concerned about a loss of competitiveness in the market. That is the view of consultantcy Drewry in its latest Container Insight report. It points to the “collapse” of freight rates in the second half of last year, which it said was “far out of line” with strong supply and demand fundamentals that saw load factors in excess of 90% on headhaul routes. Drewry says “it suggests that carriers have not yet rid themselves of certain self-sabotaging traits and that talk of a new golden age for carriers was perhaps exaggerated”. 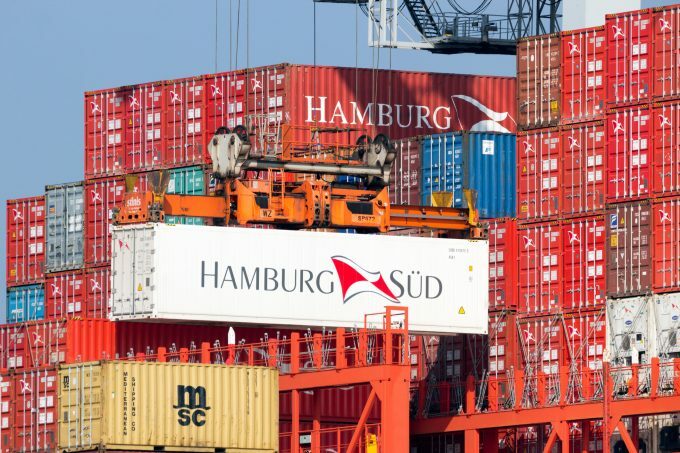 In the latest round of industry M&A activity, from 1 April Japanese shipping groups K Line, MOL and NYK will merge their container businesses into ONE (Ocean Network Express) and, later in the year, OOCL will become part of Cosco. Then the once top 20 carriers will effectively be reduced to a top seven: Maersk Line, MSC, Cosco, CMA CGM, Hapag-Lloyd, ONE and Evergreen, with the top four controlling some 70% of the market. Drewry admitted that in previous references to a “liner paradise” oligopoly emerging from the M&A activity, it may not have fully taken into account the extent carriers would go to protect their market share. “If anything, we perhaps overlooked the risk that the merger activity would make some predators more aggressive with their pricing to minimise customer attrition,” said the consultant. And Drewry advised shippers that they would “need to stay watchful for deals that impact their main routes”. Notwithstanding the bouts of protectionist-led indiscipline by the carriers, Drewry along with other commentators, still expect earnings this year in the liner industry to be at least satisfactory. Drewry said it retained its view that “the carriers are heading towards a brighter future”, but added a caveat that there were “several temporary factors that have created a bump in the road to recovery”. Indeed, in its latest review of the liner market, Clarksons Research noted there were “improvements to build on”and that the sector had “come a long way since the collapse of Hanjin Shipping in the summer of 2016”. It said that, with capacity supply growth “set to remain fairly moderate for the next few years”, the favourable fundamentals “look set to provide ongoing support if the demand side holds”. It is good to see that the shipping lines are beginning to recover from what can only be described as self inflicted carnage due to the ever increasing size of vessels and massive over capacity. What is not so heartening is the way in which the lines have mercilessly attacked suppliers for discount after discount with no change in rates for service for over three years in some cases when freight rates are increasing! The ethical practices that are part and parcel of big business have been happily cast aside in areas of the globe that are less well regulated! This show of unethical process shows a much darker side to the cut throat world that is international container shipping!